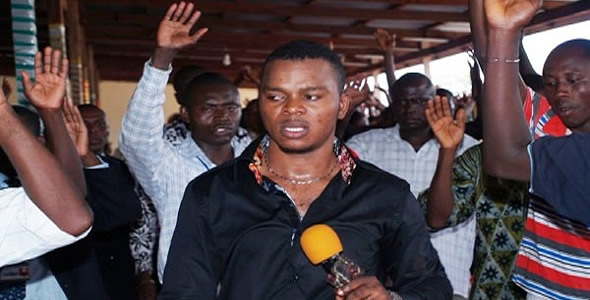 The Ghana Pentecostal and Charismatic Council (GPCC), has lashed out at the Head Pastor of the International Godsway Church, Bishop Daniel Obinim, for verbally assaulting its 1st Vice President, Rt. Rev. Sam Korankye Ankrah. Rev. Ankrah during a media interview allegedly accused Bishop Obinim of using ‘magic’, following claims by Obinim that he could metamorphose into any animal including a snake to unleash terror on his enemies. The Council in the statement mentioned how Bishop Obinim stomped on the stomach of a pregnant woman in the name of healing as well as “the holding and displaying a man’s sexual organ in the full view of cameras” saying “it is not ethical and must not to be entertained.” “The abuse of unsuspecting Ghanaians by so-called men of God is becoming alarming and so evident. The increasing electronic media landscape and social media has revealed how such people are taking advantage of the unfortunate vulnerabilities of their congregations and the unsuspecting Ghanaian public to defraud and blackmail them in the name of so called prophecies and miracles. Inasmuch as the Council believes strongly in the biblical doctrines of prophecies and miracles as signs of the workings of the Holy Spirit in our lives as Christians and the Church, the wanton abuse and manipulation of the sound doctrines of the Church of Jesus Christ by these few charlatans for their egocentric interests ought to be exposed and condemned by the majority and genuine Christians,” the statement added. Check below for full statement: The Ghana Pentecostal and Charismatic Council (GPCC) has noted with great concern video recordings gone viral on various forms of media depicting verbal attacks by Bishop Daniel Obinim on its 1st Vice President, Rt. Rev. 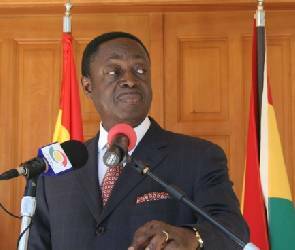 Sam Korankye Ankrah over what the former considers an attack against him in a recent interview granted by Rev. Sam Korankye Ankrah. Obinim in the said video clip used some unprintable words in the description of Rev. Sam Korankye Ankrah. This is not different from some of the insults he has rained on certain noble people in our society in the recent past. The abuse of unsuspecting Ghanaians by so-called men of God is becoming alarming and so evident. We wish to point out that the GPCC and its honourable NEC members have no personal grudges against Bishop Obinim, nor are we in anyway jealous of him as he claims, but will stand up against anybody who under the guise of the name of Christ seeks to take advantage of Ghanaians. For the avoidance of doubt, we wish to point out that the Lord we follow does not at any point change into any of His creation, safe for his incarnation to save humanity. The stomping on the stomach of a pregnant woman as a means of healing, the holding and displaying a man’s sexual organ in the full view of the cameras is all non ethical and need not be entertained. While the Council will continue to work with other recognised Christian bodies in Ghana to provide leadership, self-regulation and instilling discipline in the Body of Christ in Ghana, we call on all Ghanaians, especially Christians to return to the Bible as our main reference point and standard for evaluating and confirming such prophecies or strange teachings and not to easily fall for the machinations of these so called prophets. The Bible clearly teaches all to discern those who are of God by examining their character (fruits). For example, no genuine servant of God will spew foul language against any person, poor or rich, man or woman, let alone a minister of the Gospel. The major problem with failing to address self-claimed prophets is that such people can lead sincere people to disaster, just as in the case of the Movement for the Restoration of the Ten Commandments of God in Uganda, where close to 800 people perished, 530 of them being in a locked church that was set ablaze. Similarly David Koresh of USA, leader of Branch Davidians religious sect in Texas, believing himself to be the final prophet, deceived many people, until a raid and subsequent siege by Federal Bureau of Investigation, which ended with David Koresh setting fire in the building killing 74 people. Another story is Jim Jones who led his followers to commit mass suicides. Their deceptive stories are no different from these latter-day ones whose behaviour could eventually end in similar vein if not quickly checked. Ghanaians may recall that in the recent past, similar characters have emerged on the national scene, with some even claiming to be the Christ, deceiving many into selling out their material possessions in anticipation of the second coming and the imminent destruction of the world. Consequently, we call on all media houses, especially the electronic ones to lend their support in helping weed out these characters by not allowing financial considerations to override the general interest and safety of the public. The Council also wishes to call on the National Media Commission to speed up the passage of the Religious Broadcasting Bill into law to regulate these excesses, including potential hate speeches from religious broadcasters in the media landscape. We urgently call on the Government to engage the legally registered Christian Ecumenical Bodies to find a way to sanitise the system without curtailing the freedom to worship, enshrined in our Republican Constitution. The leadership of GPCC also wishes to assure all Ghanaians that it will continue to lead the crusade through its over 230 member churches across Ghana, to weed out all such undesirable elements in the religious community, and is also willing to provide mentoring support and guidance for all genuine Ministers of the gospel willing to submit to the guiding authority of the Council to enhance the propagation of the true gospel of Jesus Christ. Thank you. Long Live Ghana!